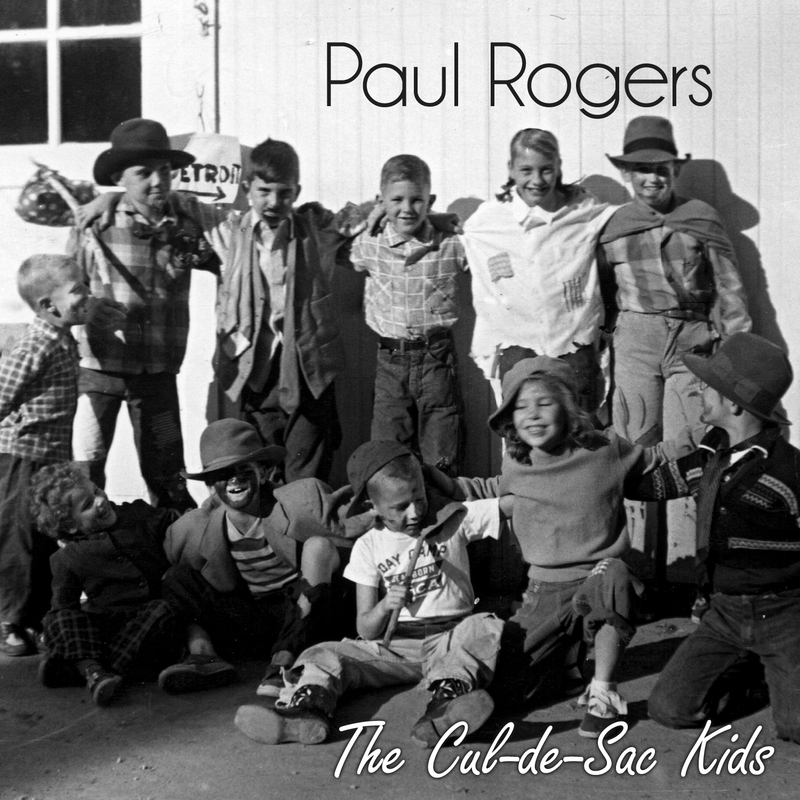 The CD kicks off with the upbeat "The Cul-de-Sac Kids", Rogers' salute to the cul-de-sac where his family lived for 10 years. "Sick of Being Sick" is a humorous take on a child's frustration with being home sick. "I'm sick of being sick / sick of feeling yucky / feeling like my lucky stars aren't doing what they should"
Next up is "Make Our Way", inspired by the story of "Puss 'n Boots". "Beneath this hat / is a clever cat / and the feeling that/ I won't be scratching my way around / I know I'm bound / To make my way in the world". A different take on cats and their owners shows up in "Cat Chat"
A child has a lot of questions about the world and figures that "Only Mom" knows the answers in "Only Mom". "Kursten, Kristen,Kiersten and Karl" shows off Rogers talent for lyrical hi-jinx and clever rhyme schemes. 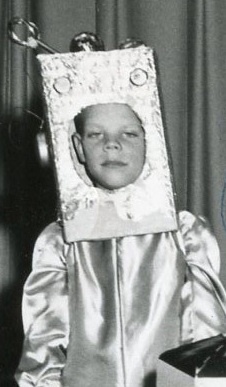 "Oh, Kursten and Kristen and Kiersten and Karl /went off to Carnival Day / Kursten said "Kristen, I think Karl's kissing / Kiersten behind the arcade" / Then Kristen was crying while Kursten was trying to cheer the poor girl up some how / and Karl said "Kiersten, I thought you were Kristen / or I wouldn't be kissing you now"
WARNING TO PARENTS: You will find yourself singing these tunes the rest of day after you hear them. Your friends and co-workers may begin to worry about you. The fun continues with the cartoony "I Forgot To Laugh". When one of the neighborhood kids is hauled off to the barber by his father for a haircut, his buddies plan a rescue that backfires in 'Stop The Haircut". "Talking To The Steering Wheel" will strike a chord for every parent with a kid in the car that is "plugged in" with headphones and texting away, unaware that Mom or Dad is trying to talk to them. Rogers' daughter, Laura, gets a chance to show off her lovely voice as she sings with her dad. The CD closes with a beautiful lullaby that honors parents and grandparents, "Carried Me". "The Bare Necessities" from the Disney classic, "Jungle Book", is included as a bonus track in a tip of the hat to the classic Disney songs that inspired Rogers to write this album. Paul Rogers 20 year front man for the San Francisco rock accordion band, Those Darn Accordions, is set to release a solo CD of kid friendly tunes. 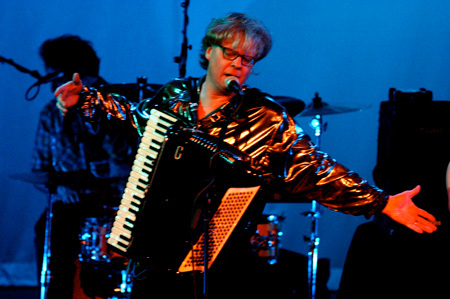 While there's plenty of accordion on the tracks, as a solo project, Rogers felt free to bring in lots of other instrumentation to help bring the songs to life. The result is a wonderful collection of 12 original witty, and heartfelt tunes that will delight kids and their parents alike.